Looking to brush up on your skills or try something entirely new? Some classes are listed on our events calendar, but check out the individual Paseo studios on this page that offer classes for their full schedules. Creative experiences at this working/teaching studio and art gallery include on-going classes that run on a fixed schedule, customized creative opportunities and workshops led expert artisans. For full class schedule, visit our website. Adult classes are held on Tuesday at noon. Offers a variety of pottery classes for various ages and levels. Tuesday evenings 6pm-8pm or Saturday mornings 10am-12pm. Prairie Arts stained glass classes are fun, creative and while you relax to find your inner artist you will discover the joys of stained glass art. Artist-in-Residence and Prairie Arts co-owner, Shawn Patterson, is the instructor for the course. As a beginner you will learn from the ground up and by the end of the five week course you will have a beautiful stained glass art work. For those who are joining our continuing education group you can let your imagination flow with original design projects using your new skills from the Prairie Arts Beginner Class. For class schedule and registration, please visit our website. The place to indulge your itch to stitch! 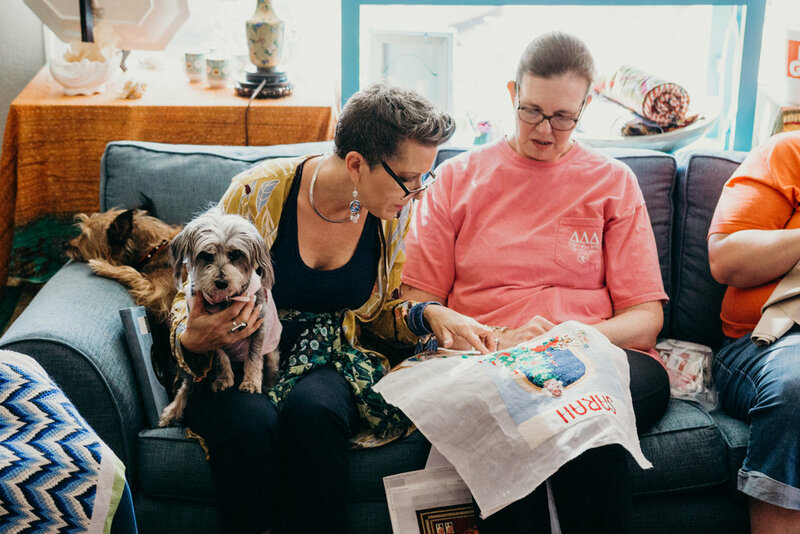 Needlepoint kits, classes, collaboration and a fresh pot of tea surrounded by luxurious antiques, modern art and a community of like-minded makers.